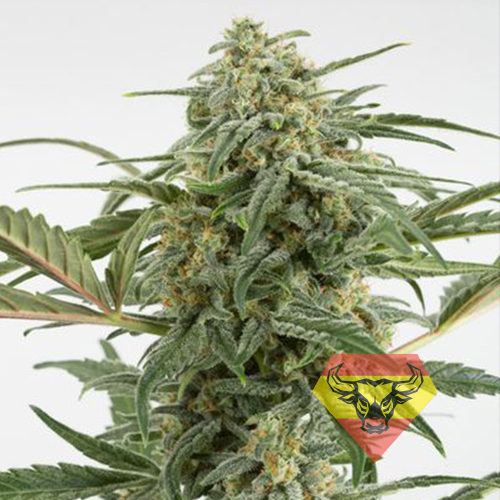 Feminized hemp seeds of the auto-flowering breed Auto Critical+ grow into sative bushes possessing characteristics typical for this genetic line. The bushes are covered with narrow light-olive leaves and plenty of non-really fetuses in the period of vegetation. In the wake of rising a great amount of the lateral branches form around the main stalk testifying about increased productivity of the strain. For bushes of Auto Critical+ not to become very large, one should constantly control their growth until the efflorescence period, as just before efflorescence there is a peak of their growth activation. The hybrid is perfectly fallen for growing by SCROG-method if correctly conducted you will manage sufficiently to enlarge the bushes productivity. The strain is absolutely unfussy, which allows it to feel comfortably similarly during indoor and outdoor growing as well. Indica and sativa are in equal proportions in the genotype of Auto Critical+ providing strain with unique features. During creation the experts cross two strong breeds. Big Bud and a possessor of the clearest genetics Skunk. The perfect genetic potential made feminized hemp seed of the auto-flowering breed Auto Critical+ to be a frequent winner of various hemp completions. Dense tarred clusters of Auto Critical+ evolve pleasant sweet aroma dressed with bracing lemon slightly sour taste with insufficient sprinkling nutty and spices scent. The plant provides psychoactive impact at the initial phase being enforced with the pleasant euphoria, which upon time passing changes by soft physical relaxation and a feeling of deep relax. Auto Critical+ possesses a strong therapeutic potential conditioned by mixed effect. The plant perfectly fits for treatment of bipolar disorders, depression and chronic nervous exhaustion. It may also be applied within complex therapy when curing autism, memory impairment, Parkinson’s disease and epilepsy. Like photo-periodic original, feminized hemp seeds of auto-flowering breed Auto Critical+ are easily amenable for growing. The crop is unfussy, resistant to temperature jumps, not prone to fungous and mould infection.